​France have won the ​2018 World Cup following a comprehensive victory over Croatia in Sunday's final in Moscow. It was a day for records. 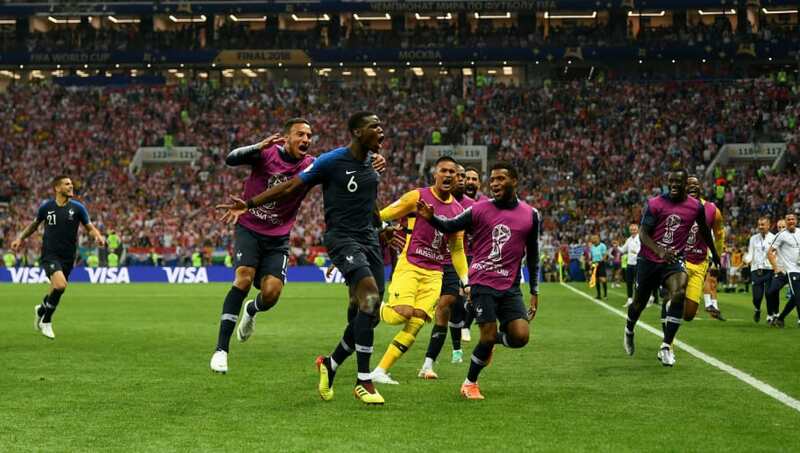 Didier Deschamps has become only the third person in history to win the trophy as both a player and a manager, after Franz Beckenbauer and Mario Zagallo, while ​Kylian Mbappe became the first teenager since Pele to score in a World Cup final. But Les Bleus won't care a jot at the moment - as it's the second time they've managed to win the big one. You can check out the ​match report, and also make sure to look out for our ​player ratings, ​takeawa​ys and ​social media roundup. It's all among a sea of reaction to what's gone down in the biggest game in world football today.